Parkinson’s disease (PD) is a common brain disease that typically affects individuals at age 50 or older. Dr. Tang and his colleagues at the Center for Neurosciences use a state-of-the-art brain imaging technique called PET to study abnormal brain activity in patients with PD. They investigate functional networks in the brain associated with motor and cognitive symptoms in PD. They have also developed a novel automated algorithm to help the physicians improve the accuracy in the diagnosis of patients with early PD. 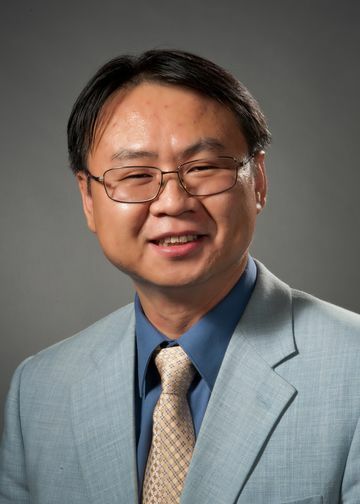 Dr. Tang also studies brain imaging biomarkers for the assessment of disease progression in Huntington’s disease (HD)—an inherited neurodegenerative disorder characterized by progressive impairments in motor, cognitive, and affective functions. Recently, Dr. Tang discovered an abnormal brain network that is specifically related to the progression of HD in the preclinical period. This network biomarker for HD can be used to accurately monitor the disease in HD gene carriers 10 years before clinical symptoms begin. Dr. Tang’s research on brain imaging biomarkers for PD and HD is an essential step toward the development of new therapies for these currently incurable neurological disorders. Furthermore, Dr. Tang has collaborated with other investigators at the Feinstein Institutes and extended his research into other diseases such as Alzheimer’s disease (AD) and Lupus. In collaboration with Dr. Peter Davies and his team, Dr. Tang uses PET imaging to study functional abnormalities in brain activity that occur in the early stages of AD. Dr. Tang also works with Drs. Betty Diamond and Meggan Mackay on the study of brain regional changes and the relationships to serum antibodies and cognitive dysfunctions in patients with Lupus.